“At three o’clock, implore My mercy, especially for sinners; and, if only for a brief moment, immerse yourself in My Passion, particularly in My abandonment at the moment of agony. This is the hour of great mercy for the whole world. I will allow you to enter into My mortal sorrow. In this hour, I will refuse nothing to the soul that makes a request of me in virtue of My Passion” (Diary, 1320). "I remind you, My daughter, that as often as you hear the clock strike the third hour, immerse yourself completely in My mercy, adoring and glorifying it; invoke its omnipotence for the whole world, and particularly for poor sinners; for at that moment mercy was opened wide for every (145) soul. In this hour you can obtain everything for yourself and for others for the asking; it was the hour of grace for the whole world – mercy triumphed over justice" (Diary, 1572). You expired, Jesus, but the source of life gushed forth for souls, and the ocean of mercy opened up for the whole world. 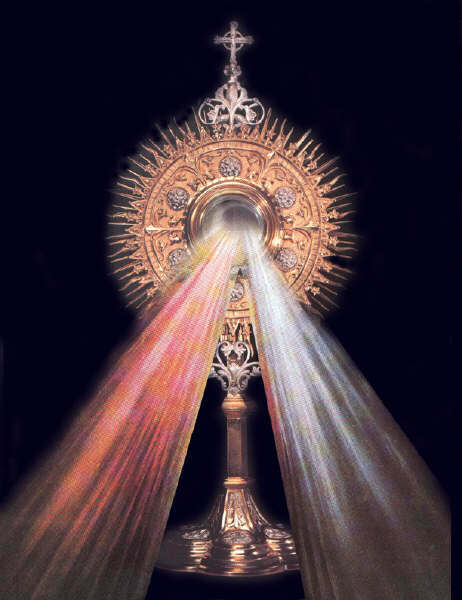 O Fount of Life, unfathomable Divine Mercy, envelop the whole world and empty Yourself out upon us. (Diary, 1319). O Blood and Water, which gushed forth from the Heart of Jesus as a fount of mercy for us, I trust in You! (Diary, 84).